Gemini is restless, and you might sense that. It is obvious even when you are with them: a desire to travel is very high. While together, your need for creativity will grow. Mercury combines with Venus so that it will rise above the tiny details, or defects. But the balance of this relationship will depend on you. 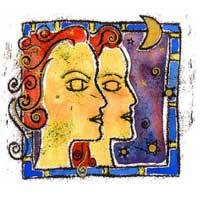 The two signs are harmonious and friendly aspect is present since the beginning of the relationship. There is a more intuitive force when you are with Gemini. You are inspired to teach, write, and will develop your own philosophy. Mercury and Venus represent appreciation for beauty and art in general. Surely you will travel more and discover what people think and want in general. You are able to anticipate new trends and cycles, to put more emphasis on your thoughts and opinions. Obviously the relationship is positive. 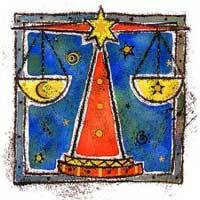 Gemini and Libra are different enough, but resemble somehow and keeping the flame alive is all you have to do. There are also some extremes: either you try to do everything at once, or you tend to expect too much. To find a middle path is the solution of this relationship.